The right to a decent standard of living and protection from poverty and social exclusion are fundamental human rights. On the 9th of June, The Netherlands Institute on Human Rights organised a conference about the human rights approach to poverty. Experts by experience, scientists, policymakers, social wellbeing organisation, volunteers and lawyers talked to each other after sharing insights from research and practice on the human rights approach to poverty. Poverty is a complex problem. Obstacles in housing, education, health care and labour are both the cause as well as the effect of poverty and that is why an integral approach that does justice to the complexity of poverty is needed. 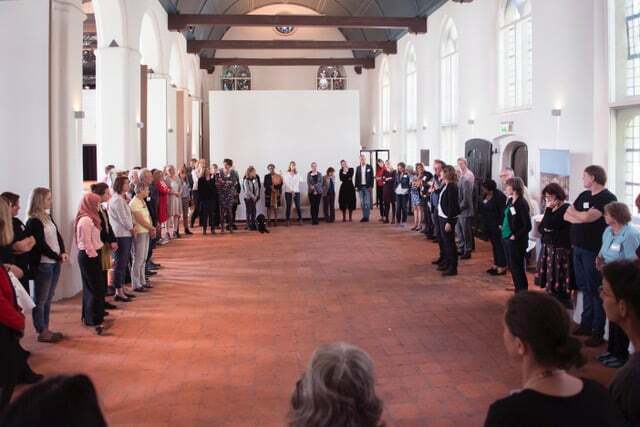 Hanne assisted in the development of the programme and facilitated the workshop and hosted the conversation on feet (from the Deep Democracy methodology) about the question: What can you do to bring the human rights approach to poverty one step further?